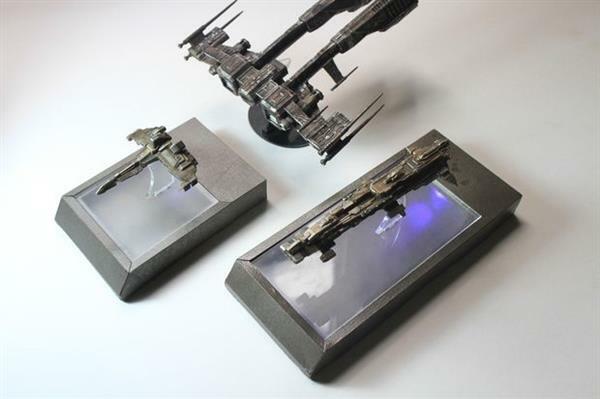 Yueshi – a designer who is also a game lover came up with a methodology to 3D print ships which are replicas of a very popular role playing online multiplayer game “Eve online”. The online game is based on the science fiction alternative universe, conceptualized, published and developed by CCP games. The online game allows actors to pilot the ship across 7,800 galaxies which are in turn connected by star gates with each other. The game is among the elite of games was added to the Museum of Modern art video game collection in June 2013. 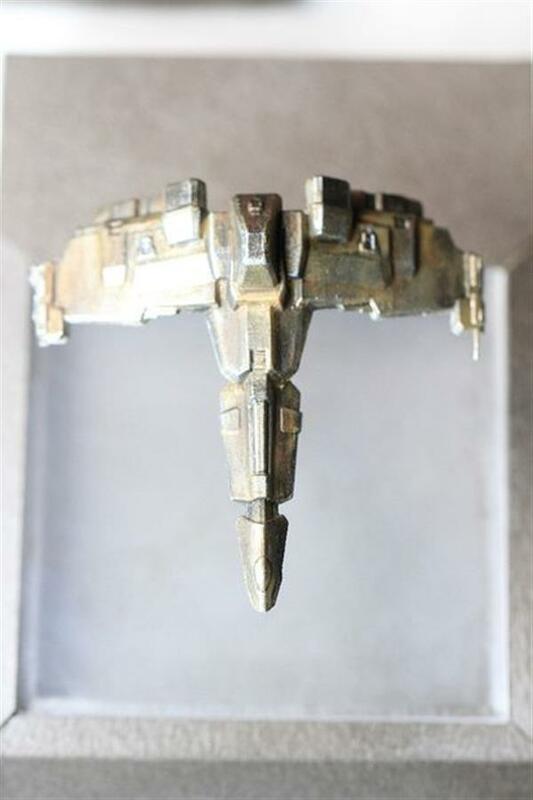 Ingenious method to 3D print the scale model, as per Yueshi takes 3 major steps. The first step involves specifics of the model derived from the game; the second step is to do with actual 3D print the model and the last step is to give the model a paint job and fix it on a stand. As per Yueshi, the 3D model is printed exactly like the official model which is part of the collector’s edition. Moreover, with the 3D printing you can actually make one in your own home. 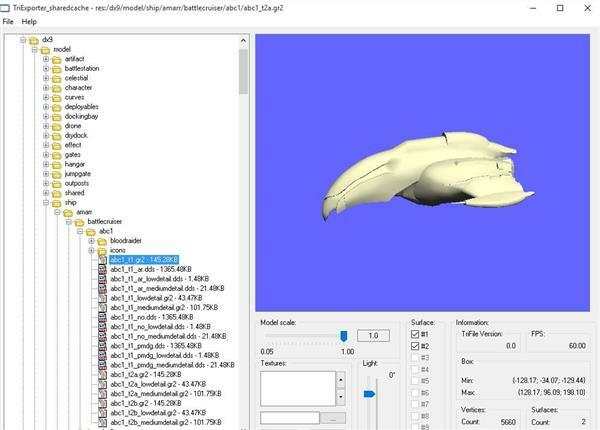 Yueshi used and recommends TriExporter software to extract the model from the Eve online game. For a model extraction set the file location to Program/CCP/Eve/rise (point to res sub-folder). After narrowing down to the intended ship, one needs to pick the files with high details. Then, export the specifics to “obj” file which then will to be used in the step 2. 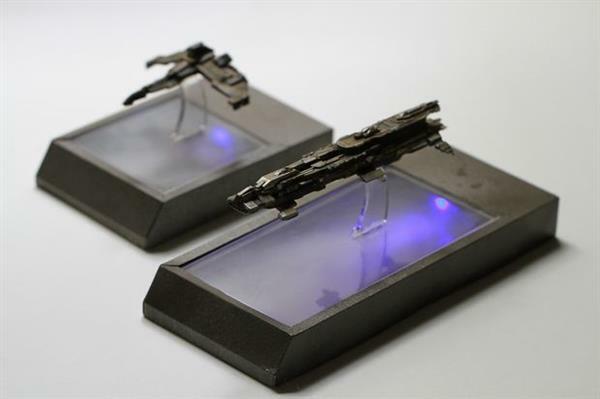 If you want to skip the Step 1 then you can directly download the ships from Thingiverse. 3D printing primarily involves model being imported into Meshmixer. While in production, resolution should be maximized to capture the details. The project needs to be saved as .STL file which is further used to trigger 3D printer to print. ABS was a preferred material to 3D print, as Yueshi pointed that he didn’t want the model to crack in the future. Post printing, the models were cleansed with alcohol for it to be ready for further painting. The battleship and frigate files which Yueshi used are available for anyone to download. After the model has dried, then Krylon shimmer metal spray is applied. Use an old age brush, kitchen towel and permanent marker in order to replicate aged metal look. Yueshi emphasis on using iridescent grey acrylics, silver, carbon black, yellow ochre and burnt sienna colors. In the first place, apply burnt sienna and watery yellow ochre on the model all over. After application, to give that old age effect, use the kitchen towel to dap. Apply minuet amount of grey and black on the tip of the old brush and focus on crannies and nooks, and then we need to go again with burnt sienna and yellow ochre applied randomly with the brush to give it a worn out classy look. 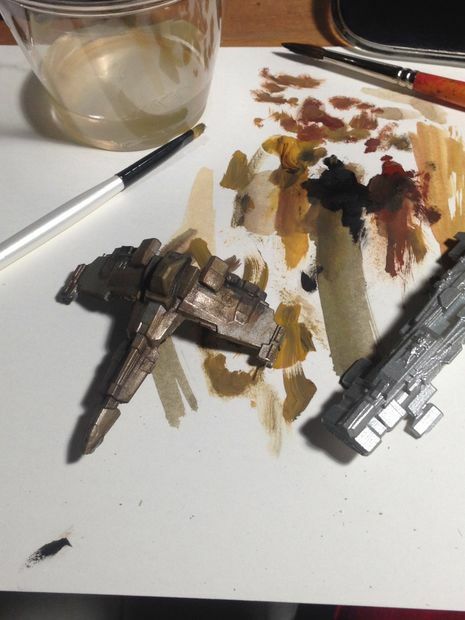 To give depth to the model, use 0.1 mm brush marker on the edges. Last, use a toothpick with silver shade and apply it on the outward edges. To finish the model, put it on an optional stand to fix the model in place, Yueshi has made available the STL files for the base he has designed. 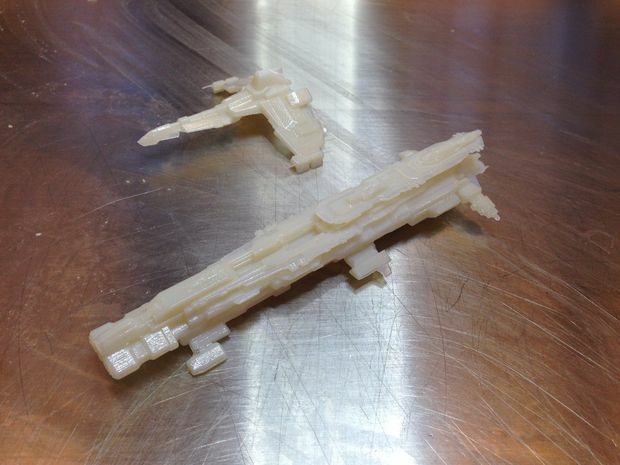 After all this you’ll have an Eve online model which you’ve made yourself with help from Yueshi. All the details and instructions are available for anyone to follow on Instructables.